Here is a terrific four chapter story about Spanish Galleons and their role in a trade with China that would change the world. Published by the South Morning Post and written by Adolfo Arranz and Marco Hernandez, the four stories are a multimedia presentation with huge maps and gifs. How Silver Changed the World is the best story. 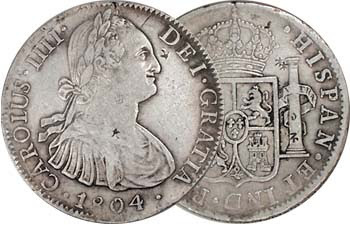 It explains how silver coins, minted in the Americas, become the common currency throughout Asia, the Americas, and much of Europe. Manila becomes a central hub and the Spanish galleon becomes the commercial trade ship of choice. 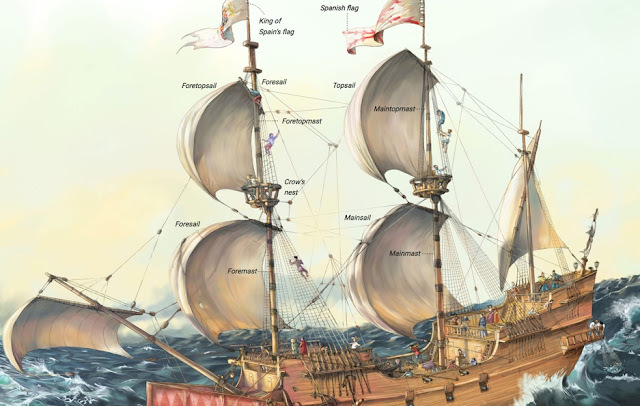 The first three chapters explain how the Spanish Galleon is made, noting that Manila wood is much stronger than wood in Europe, largely impervious to weathering and fungal infections. 15 Minute History also has an excellent podcast called "The Trans Pacific Silver Trade and Early-Modern Globalization."